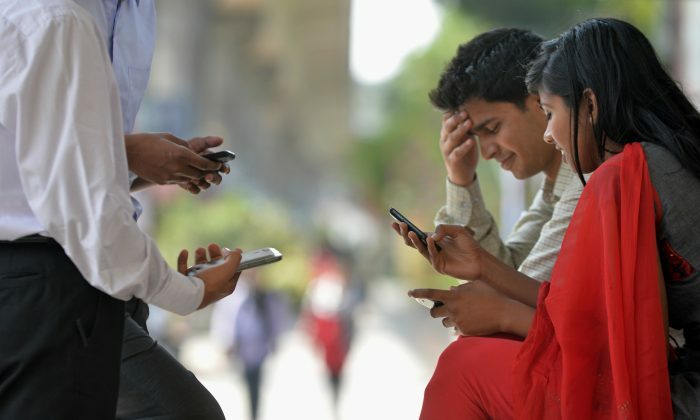 BANGALORE, India—India opened its first technology addiction treatment center in the southern city of Bangalore this spring to help technology addicts log out of their problematic behaviors. At the Services for Healthy Use of Technology (SHUT) Clinic in Bangalore on Saturday, Dr. Manoj Kumar Sharma counseled an 18-year-old engineering student addicted to computer gaming. The student played computer games 8-10 hours a day and was not able to concentrate on his school work. Worried by symptoms of withdrawal from family events and a rapid decline in his academic performance, his parents contacted the SHUT clinic. Sharma, who is is an associate professor in the Department of Clinical Psychology at the National Institute of Mental Health and Neurosciences (NIMHANS), has been researching technology addiction for about four years. He says signs of technology addiction include when a person neglects their work, school, other day-to-day responsibilities, or relationships. “Sometimes it effects their leisure activities…Even if other people are around, they would like to spend time on the net, or technology, or texting,” he said. He added that, across all age groups, the addiction is hardest on relationships, but the addiction can affect a person physically as well. “Last week I had a case where a youngster’s finger tips were in constant pain because of excessive punching of the computer keyboard,” he said. Because the field of technology addiction is so new, there is little research on how technology addiction has grown in India, but the proliferation of technology itself has been well documented. At the end of March, the Telecom Regulatory Authority of India reported 904 million cell phone subscriptions, an increase of over 1 million since the month before. Per hundred people in India, there are over 75 cellphone and landline subscriptions, about 60% of those urban. In Bangalore, the IT capital of India, NIMHANS conducted a study last year on on the technology habits almost 3,000 urban residents between the ages 18 and 65. The study found that over 4% showed addiction to mobile phones (110 people), 3.5% to social networking sites (96 people) and over 1% to the Internet (35). The clinic gets 5-6 inquiries a week, and since its inception in April has catered to about 24 serious cases of technology addiction. The clinic, which is funded by the government, charges a mere 150 rupees ($2.50) for the first session and 100 rupees ($1.70) for the subsequent ones. Despite the low cost, Sharma says lack of awareness of the issue is a big deterrent to people getting treatment. In many cases, he says, addictions among youth are promoted by the caregivers who do not understand the situation, and are not able to educate their children on healthy technology usage. “Awareness is there for other problems but [people] don’t have much awareness about technology usage, as well as when it manifests as an addictive use,” he explained. Sharma, who is one of four doctors at the clinic, is working to train counselors in schools to screen for excessive use of technology in children. NIMHANS also hosts workshops for parents, counselors, and professionals around Bangalore to raise awareness of the issue. And awareness seems to be expanding. Earlier this week, an NGO in Delhi opened the city’s first technology treatment center for children with technology addictions. The center has about 70 patients. According to NDTV, they have no plans to expand to other cities just yet. NGO One World Foundation India is providing farmers in Indiia with the information they need to succeed financially-via cellphone.